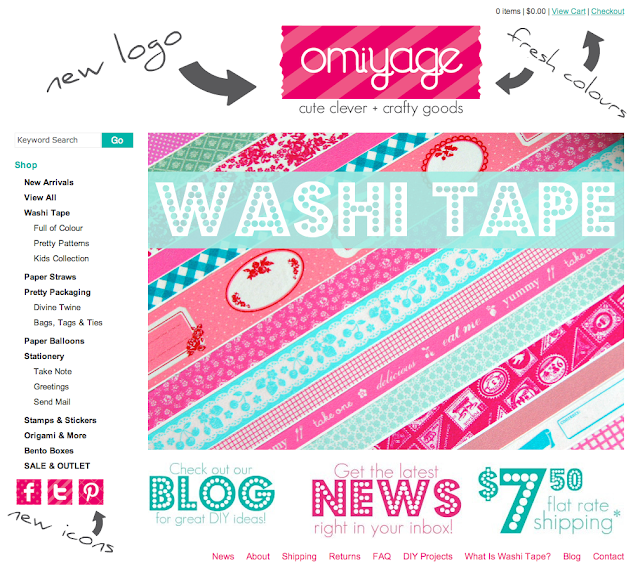 Omiyage Blogs: A Fresh New Look! You may have noticed some changes around here at Omiyage Blogs over the past few weeks (and if you haven't, click on over and see our fresh look!) 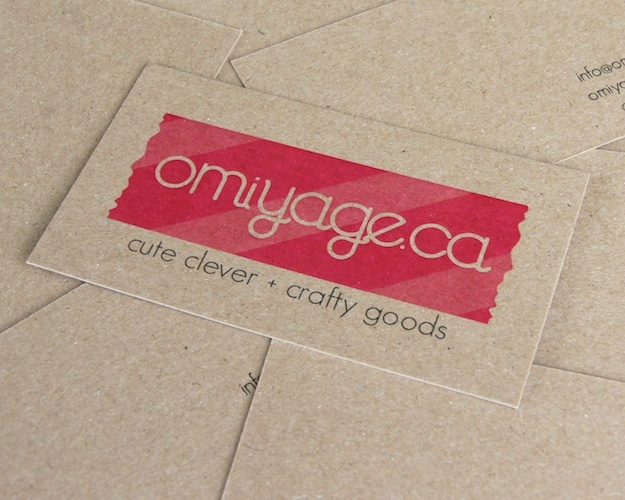 And over the weekend, we gave Omiyage.ca a little bit of a facelift. 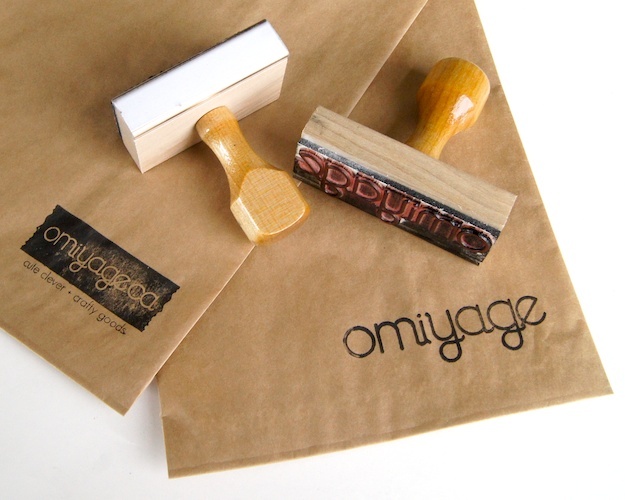 Huge thanks to Bridgett Edwards for freshening up Omiyage with new logos and a fresh colour palette. So fun, right? We wanted something playful with a touch of our favourite tape and that's exactly what Bridgett crafted up for us! You can see our sweet new logo and colour palette over in the shop. On our new business cards. Right here on the blog. Where we've also cleaned up the sidebar to make it easier to find DIY projects, shop Omiyage or learn a little more about us. And even in the form of custom rubber stamps! Oh, and a quick heads up, the blog domain will be changing this week too to omiyageblogs.ca! Thanks again to Bridgett for helping us clean up our act! Do give her a visit if you're looking for help with branding for your small business.